Professional Roof Applicators Inc is a total exterior repair company which actively serves families and businesses throughout the Southeastern United States. Our founders collectively have over 100 years in the business and our company has become one of the premier contractors in our industry. Quality craftsmanship and long lasting relationships have developed a strong foundation on which we continue to build our unsurpassed reputation. Professional Roof Applicators Inc was founded in Baton Rouge, Louisiana in 1998 and incorporated in 2001. We have extensive experience in storm renovations, all gained from assisting the residents of the Southeast in restoring their properties in the wake of Hurricanes Katrina, Rita and Gustav. During these storms, thousands of homes and roofing systems suffered massive wind and water damage. Homeowners needed to repair their homes quickly and were taken advantage of by less than reputable contractors looking to cash in on others misfortunes. We recognized the need for reputable contractors to assist homeowners in storm ravaged areas, so we set out with a new mission to assist homeowners throughout the Southeastern United States to restore their homes and roofs damaged by “Acts of God.” Today, we operate in major metropolitan areas in Louisiana, Texas and North Carolina. 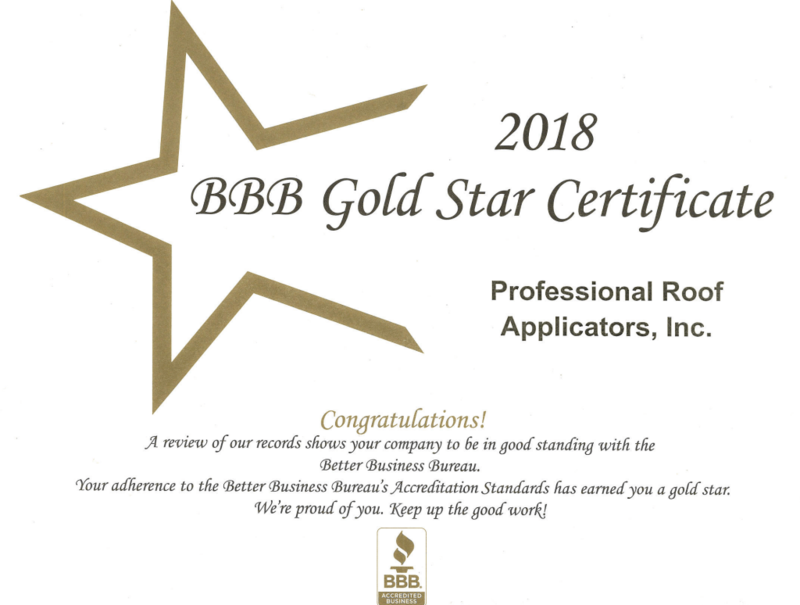 We are fully licensed and insured, and are an accredited business with the Better Business Bureau that offers full-service roof replacement as well as siding, gutters and windows. This usually requires working out the claim details with your insurance company. Our expertise in handling storm ravaged projects, and our in depth knowledge of insurance procedures, has helped to restore many homes to their original condition. We have taken it upon ourselves to eliminate the hassles of dealing with your insurance company. This ensures that your home receives all the attention and repairs that it requires, and that you receive every cent due. References can be provided upon request. 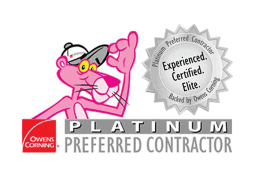 Professional Roof Applicators Inc has also joined forces with some of the best contractors in the storm restoration industry. We are a proud founding member of the UASRC (United Association of Storm Restoration Contractors). This non-profit organization is dedicated to helping homeowners stay aware and informed on how to choose reputable contractors for storm restorations, and also how to avoid the less than reputable ones. We’ve created a set of guidelines on being members to ensure a higher level of ethical standards and practices. Call us today at (281) 377-9180 or simply fill out our Contact Form, to get started on your project with a FREE estimate.